"Student Council Concert" by Morehead State University. Office of Communications & Marketing. 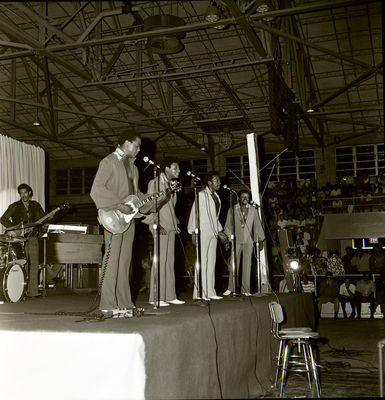 Little Anthony and the Imperials along with comedians Edmonds and Curley performing at Morehead State University in the Laughlin Field House on September 24, 1970 sponsored by student council.